We have been super busy, but I still don’t know why, and my poor garden here at Mi Ranchito has suffered, but the trees are still looking beautiful. They have been changing the color of their leaves and then finally dropping them. In the backyard our Japanese maple is a bright amber. But the one in the front is more of a brownish color. My favorite tree is also in our front yard. Only half of the leaves have changed their color. Soon we will have tons of leaves ready to be raked. My little peach tree is done for the year, but at least we will have many oranges and lemons to enjoy anytime now. 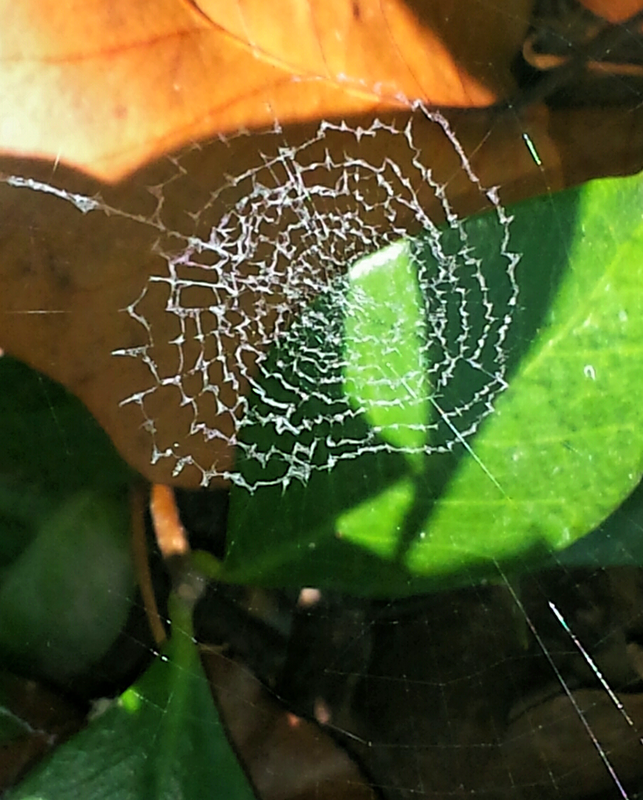 Spider webs in my garden. 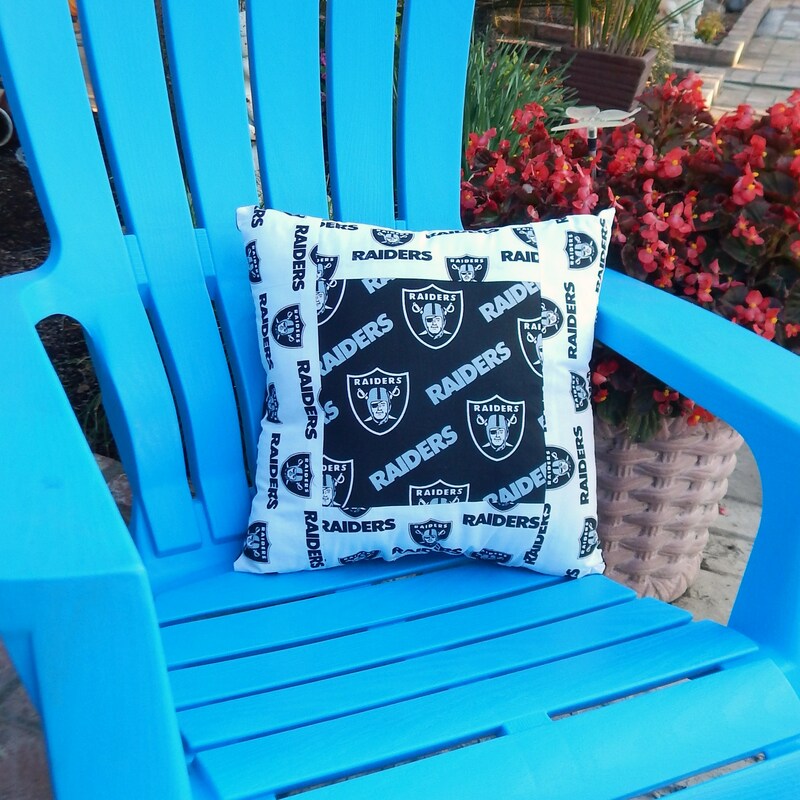 I’ve noticed that decorative pillows for football teams are not very girlie, so I decided to make one that would please the many women fans that root for their teams just as much as the men. 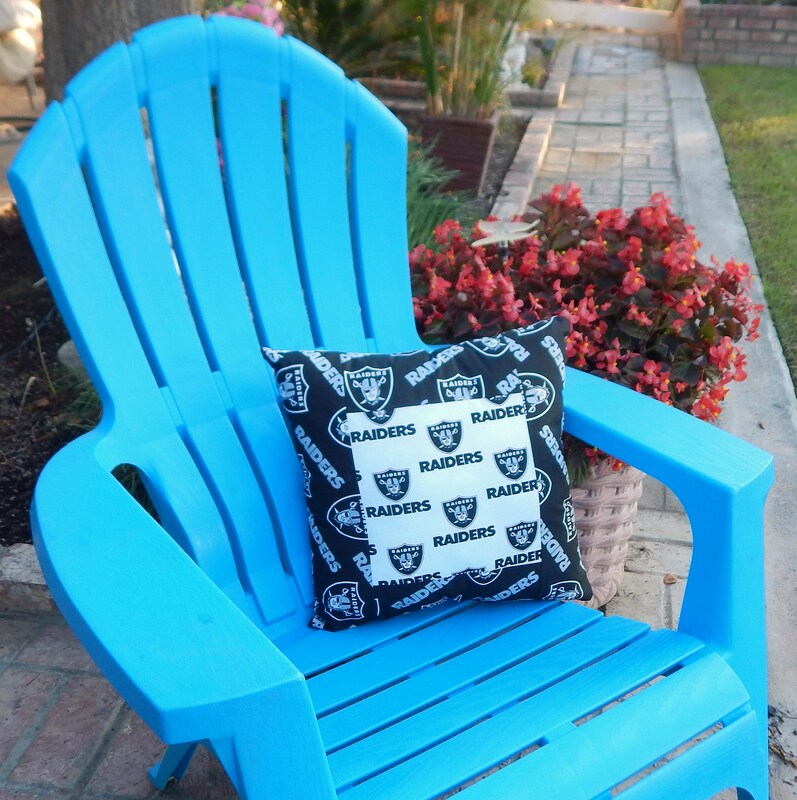 At the moment the Raiders are a big hit in the Central Valley, mainly because of Derek Carr having played for our own Fresno State College. So, as I keep on sewing for my next craft show, this is what I came up with. A little ribbon flower and some bling makes me want to hang it I my own home. 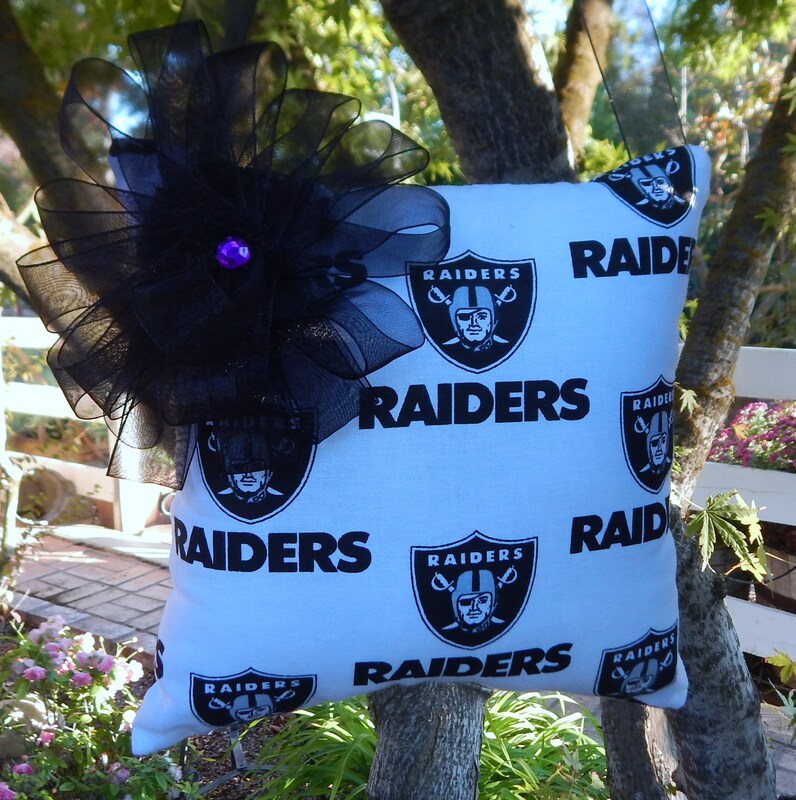 A little pillow that women can hang on the door knob, in their bedroom, or on the front door, or anywhere they wish to show their support for their team. And while I was sewing, I also made a man pillow. The other side of the pillow has the same fabric, but the placement is reversed.